In the past several years, Amrut distillery in India has become world famous. Known for producing some of the finest single malts in the world, including the Amrut Fusion, which uses a blend of (peated) Scottish and (unpeated) Indian barley. Ranked by Jim Murray, in his 2010 Whisky Bible, as the 3rd greatest whisky in the world, the Fusion brought Amrut worldwide recognition, which, as their market has expanded, has been growing ever since. While their single malts are primarily developed for export, Amrut’s Old Port rum has been well received both beyond and within the borders of India, a nation of which Rum is the most widely consumed spirit. There is a good reason for this: vast quantities of sugarcane and spices may be found in the East Indies; therefore, delicious products may be produced cheaply. While it is a particularly smooth rum that you could take shots of quite easily, the Old Port is, without question, a sipping rum. It is one that you do not want to mix with anything, as any added flavours would ruin it. What you want to do is sip and savour the taste, while smelling deeply for that retronasal flavour. At its low price, only a few dollars more than your typical cheap rums — Bacardi, Captain Morgan’s, Appleton Estate etc. — the Old Port comes highly recommended; there is no reason for a rum drinker to miss out on this one! 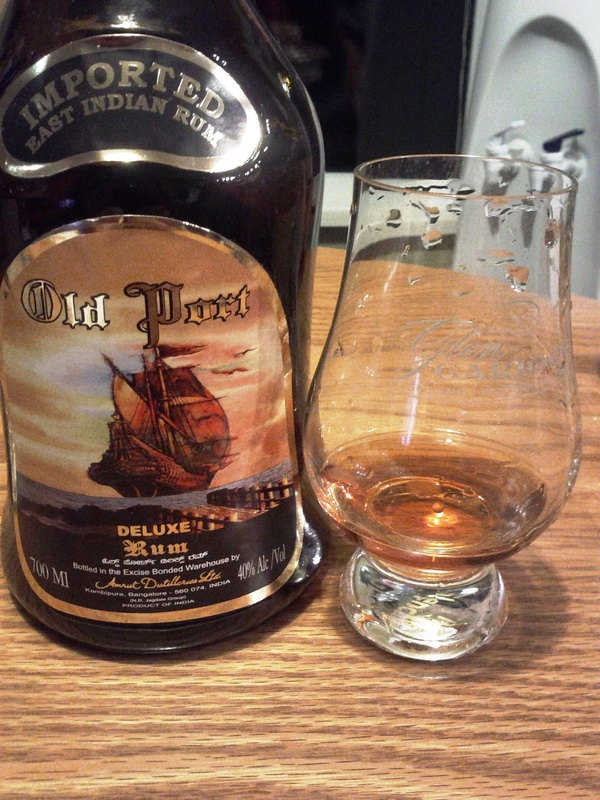 Amrut’s Old Port Rum is certainly one of the more unique rums I have had the pleasure to taste. Its colour is that of a nice hardwood such as mahogany or stained maple as it sits neat in the glass. The aromatic smell is a wonderful blend of toffee, nutmeg and butterscotch wafting upwards to the nasal cavity… it truly smells excellent. While the rum does have a certain sharpness to it, the zest is eased by the butterscotch and vanilla that cover the palate. Being made from cane sugar it is certainly sweet but the combination of spices and a hint of smokiness are also good for balancing this, making it pleasant to sip on after adjusting to the initial sip. 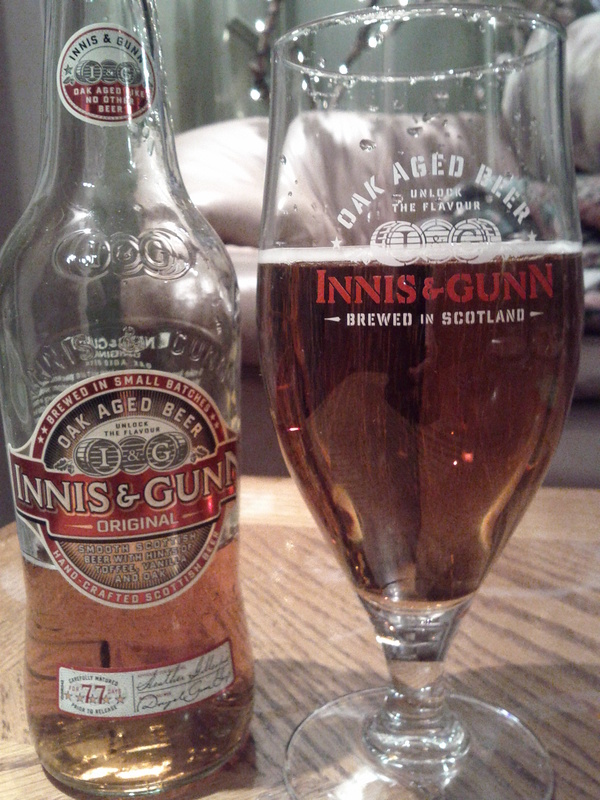 The finish is one that lingers on spice and a faint oak flavour cleansing the mouth and throat. We did not try this rum with and mix, but I am sure that it would go well with coke, ginger ale or eggnog; however, it’s just as good neat. A solid rum, and one that I would recommend to any spiced rum connoisseur. Immediately, one is greeted by a pleasantly spiced scent, with nutmeg predominating, that acts as a major factor in enticing you to try this very West Indian style rum. And when you do, you are definitely not disappointed. The texture is nothing amazing, reminiscent of many other more common rums, which goes down smooth yet offers a modest, pleasant warming sensation. Diving into the flavours, we find a very spicy mixture, that even in small amounts will create a definite buzz on your palate, and screams out to combined with eggnog at Christmas time. The fascinating thing is, the experience with this rum seems to be divided into two distinct stages. First, the spice creates a warming kick, which soon fades slightly, and allows the second stage to enter, which consists of the rich flavours of the rum itself. This partnership enhances the experience tremendously, making it thoroughly enjoyable. The nice thing is, the experience continues into the finish, allowing the drinker to enjoy the taste for several minutes. Recommended to those who aren’t afraid to try a unique blend of spice and rum which will leave you wanting more. To put it simply, give me a jug of eggnog and a bottle of this and I’ll be happy. Kraken Black Spiced Rum has a cool bottle! Named after a mythical and legendary sea beast, the Kraken, a black spiced rum from the Caribbean boasts a high ABV (47%), rich and complex spices — caramel in particular — and a cool bottle to boot. It is blended with natural flavours (additives) and imported worldwide. It seems to be growing in popularity — perhaps for it’s taste, perhaps for the bottle and commercials, or perhaps a combination of both! The Kraken looks like it belongs on a pirate ship; it is certainly one of the sickest, and most novel bottles I’ve ever seen liquor distributed in, and is worth owning for just that reason. 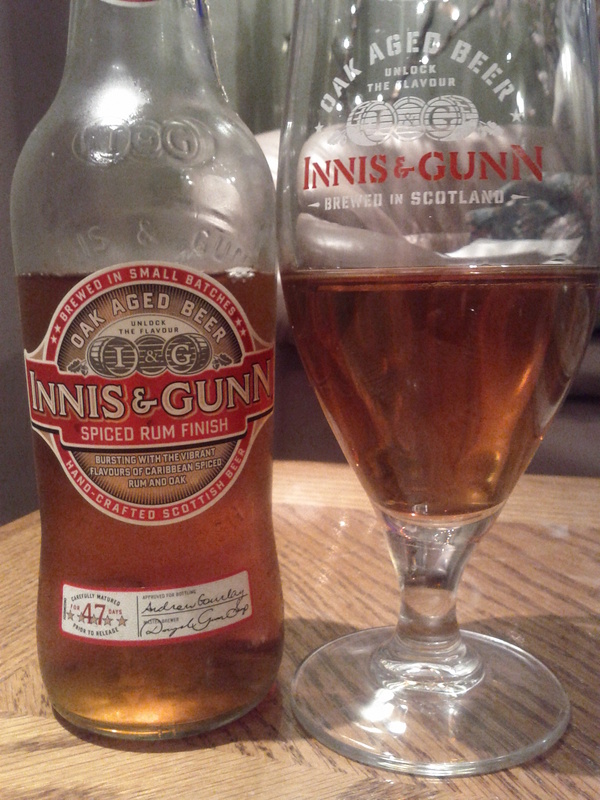 Besides this, the rum tastes quite good, and goes down smoothly, in spite of the high alcohol percentage. However, while it is quite enjoyable in its own right to sip this rum, it is much more fun to play around with it. I have found that it goes best with Dr. Pepper — yes, better than Coke, Pepsi, Root Beer, etc.. I think it must have something to do with complementing flavours of vanilla and caramel that may be associated with each of these drinks independently. Of course, in the interest of reviewing it fairly, we enjoyed this rum neat — its scores reflect this. Frankly, as a mixed drink, I would rate this quite significantly higher. While there are subtle notes of caramel, molasses, vanilla, and cinnamon on the nose, the relatively strong aroma of alcohol subdues these spices just a little too much. This continues on the palate, which is likely why it is best when mixed; it seems to need a little something to bring out the flavours. It is quite smooth, yet has a sharp bite; however, after this sharp bite, the sweetness remains on the palate while the strength of alcohol does not! First off I have to compliment Kraken on their recent advertising, it seems to work as this rum has stormed the local market. Not only that, but the old time bottle and period artwork make the bottle alone a cool thing to have. The rum itself is as the name indicates, spiced and black. 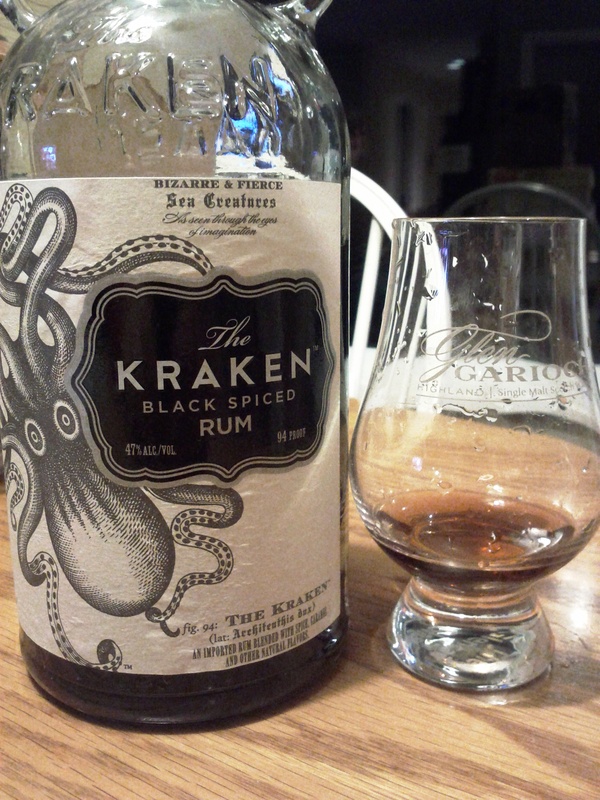 When one unleashes the Kraken, they unleash something more than a typical rum… a 47% ABV rum with 94 proof. This Caribbean rum is sweet to smell from the molasses and mildly spiced. I found the initial taste to pick up more on the molasses before the spices such as cinnamon and licorice stuck to the back of my palate. That said, the sweetness and spice did mellow into a nice warm sensation in my mouth. The finish sat on the back of my palate for a lengthy period, and despite being such a high volume rum, the smoothness of the spirit was surprising. Of note, when mixed with coca cola it tastes like Doctor Pepper. A good, versatile rum to mix with. Where’s the rum gone? Oh, there it is, the Kraken’s got it. Worth a purchase just for the novelty of having a product called The Kraken, this black spiced rum is a nice way to start off your evening. Greeted by a full caramel scent, that’s perfectly balance so as to not overpower your senses, this rum is very inviting. The tasting reveals a rum with a slight edge that indicates the correct blend of spices, combined with a certain smoothness that allows for easy drink-ability. The flavour does not disappoint either, with a hint of smokiness mixed with just the right amount of spice. The finish, however, is where this rum losses it’s footing. I found that I was left with a very sharp aftertaste, which was somewhat tort, most likely due to the high alcohol content. To miss this severely detracted from the experience, diminishing it’s overall score. It is worth noting that this rum may be better served as the base for a cocktail, as this would balance out the sharpness of the finish. Stay tuned to future reviews to see just how well it fairs.